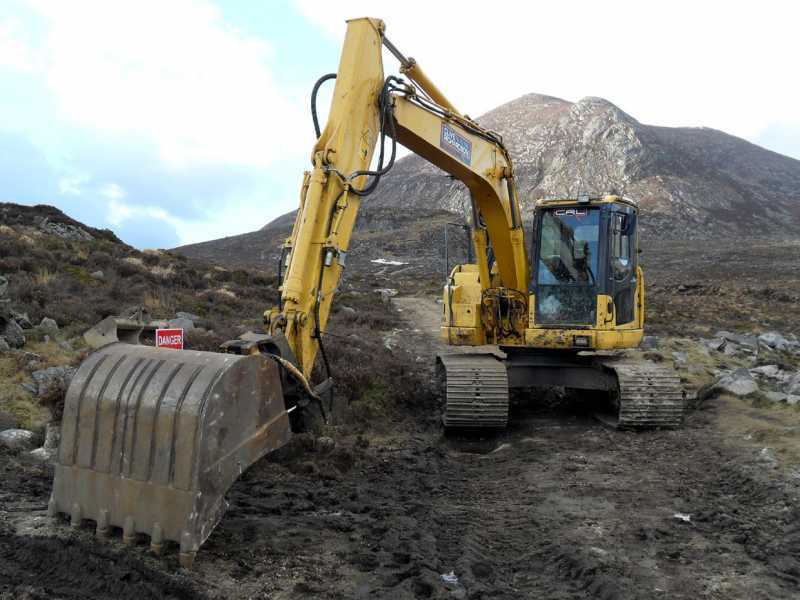 Back through the mists of time, some of us gave one about the construction work inflicted on us by the Mourne so-called Heritage Trust - costly, pointless and insensitive. I and some other stalwarts made our views known. The Lord Stewart adopted a more mellow and conciliatory tone - and illustrated his view of good and appropriate track work with comments and pics of the old track running SE off Slieve Binnian. He and we will be interested to know that this particular track is now to be dug up and replaced with well .... you know the thing - steps and dust - the spoor of the MHT. The word "snook" comes to mind.